Spring Cleaning For A Reason #DonateStuffCreateJobs - Mamanista! Spring cleaning has always been something I have looked forward to. Out with the old, broken and worn out and into clutter free space! While I am cleaning my house I make piles of the stuff that I plan to get rid of, stuff that is trash, stuff I need to sell and stuff that I will donate to the Goodwill. 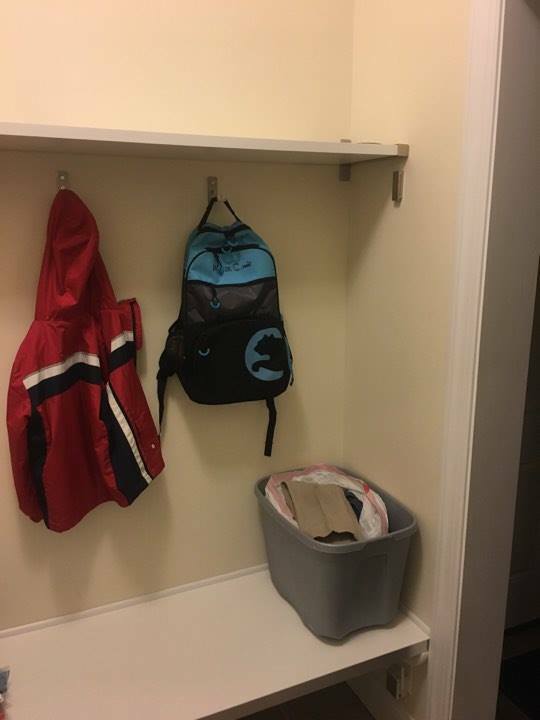 For me the hardest area of my house to keep clean is the closets. So we set up a donation station by the front door. If anyone in the house outgrows something, it immediately goes into the donation station. When the bin is full, I take it to Goodwill. Just two jackets allow Goodwill to provide 28 minutes of on the job training- wow! If you struggle with closet organization, check out these 5 Tiny Tweaks To Keep Your Closet Organized. I have been donating to the Goodwill for as long as I can remember, but had no idea that donations of clothing or household goods to Goodwill help create jobs directly in my community. Goodwill’s career centers, training programs and staffing operations give people the resources, skills and confidence that changes thousands of lives each year. Why do I donate? Because the things in my house that I may not be using, could be perfect for someone else. If we have perfectly good items that can be loved by someone else, why not help our community? If you are not sure where your local Goodwill is, you can use the Goodwill Locator App available for Android and iOS devices and at goodwill.org (click “Explore Our Map” on the homepage). Simply input the items you’re donating to calculate the number of hours of career counseling, on-the-job training, résumé preparation, financial planning classes, and other services you’ve helped provide people facing challenges finding employment. When jobs thrive, communities thrive. Last year, nearly 2 million people engaged in face-to-face Goodwill services to advance in their careers. More than 35 million people accessed education, training, mentoring and online learning tools offered by Goodwill virtually to strengthen their skills and gain industry-recognized credentials. What are your favorite spring cleaning or decluttering tips?